A modern and eclectic experience of Japanese cuisine. 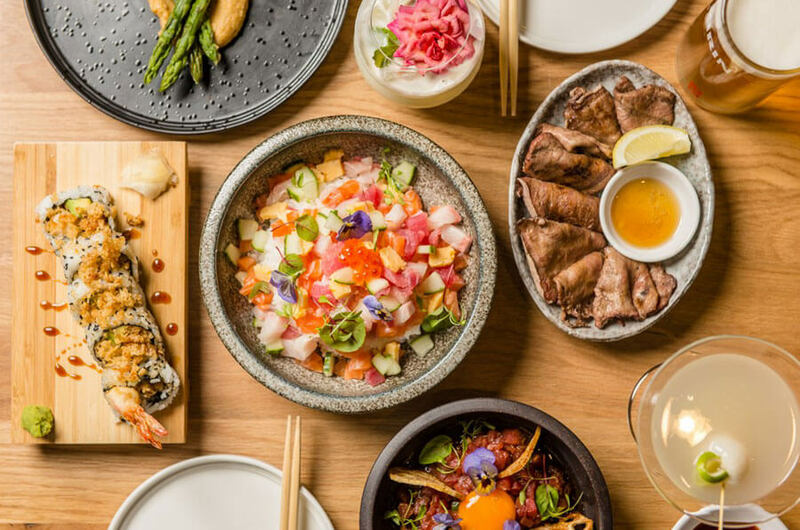 Located in the iconic Mid City Arcade on Bourke Street, the vibrant street culture of Tokyo is reimagined through Yokocho’s minimalistic fit out and lively ambience. Literally translating to “alley-way”, Yokocho mimics the laneways made famous by salary men in Tokyo who frequent small, ‘hole-in-the-wall’ type establishments. Showcasing three main styles of Japanese cuisine: sushi and sashimi, yakitori and tempura alongside curated list of sake, spirits, wine, beer and cocktails.